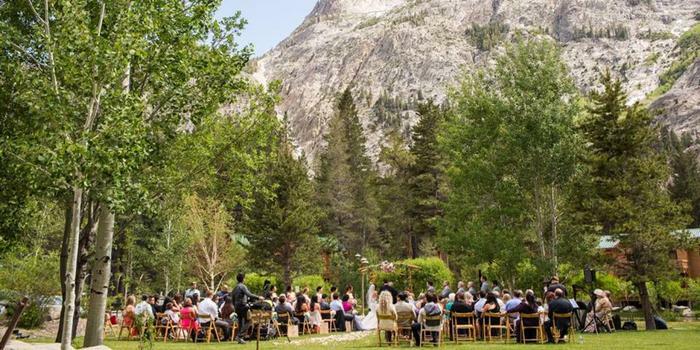 Weddings in June Lake make for a memorable event for couples, families and guests. The options for wedding venues, ceremonies and receptions are many. Local venues and service providers will accommodate your specific preferences, desires and budget, for both traditional and non-traditional weddings. The June Lake area offers scenic and dramatic backdrops along our June Lake Loop. Wedding photos with backdrops like Carson Peak, Silver Lake or June Mountain Ski Area will help create lasting memories for years to come. Family traditions have been a big reason people return to the June Lake area and a big reason they choose our wonderful community for their nuptials. 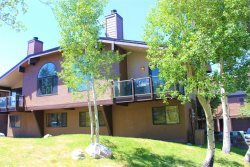 And choose June Lake Accommodations for guest lodging and vacation rental condos, homes and cabins. June Mountain Ski Area is one of the most unique and breathtaking spots to host your wedding ceremony and reception. 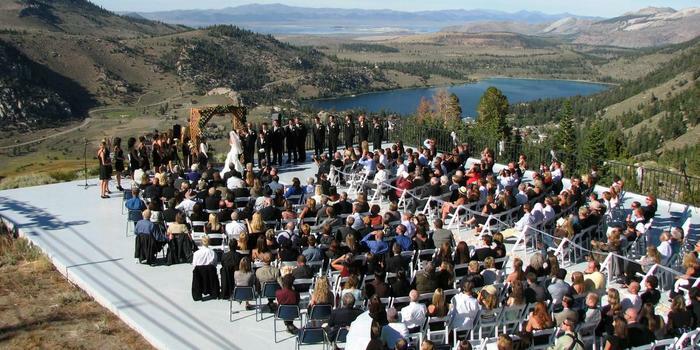 Wedding ceremonies at June Mountain take place on a spacious veranda overlooking Horseshoe Canyon and June Lake Loop, which includes views of June and Gull Lake as well as Mono Lake. Depending on what part of the season your nuptials take place, you can expect late or early season snowfall, spring bloom, or autumn color to adorn the view. For a wedding in the winter months, consider combining it with skiing on our beautiful mountain. Guests ride a chairlift from the parking area to the Chalet, where the ceremony and reception are held, and are seated on the outdoor veranda to await the wedding party. One of the truly unique features of a wedding at June Mountain is the arrival of the bridal party via chairlift, which makes for a one-of-a-kind photo opportunity. After the ceremony, guests head over to the reception at the Chalet on June Mountain, featuring a cozy fireplace, full bar, and restaurant with a large event space. Guests can also enjoy the large upstairs patio area with stunning views and lawn games in the meadow outside the lodge. Outdoor wedding photos taken with the backdrop of the June Lake Loop, Carson Peak, and Mount Wood can be spectacular during any season at this rustic, charming and historic Chalet. Tucked away down canyon, the Double Eagle Resort & Spa offers wedding coordination service packages. Wedding ceremonies are typically held in the meadow beside Ron’s Pond, where a wooden arbor frames the nuptials. Carson Peak, one of the most picturesque and recognizable features in June Lake, towers in the background along with Horsetail Falls. After the wedding ceremony ends, enjoy your reception at the Double Eagle and their Eagle’s Landing Restaurant, or the large wooden deck. You can even have an event tent to accommodate reception parties. In addition to accommodating wedding and reception venue needs, the Double Eagle Resort can provide linens and other necessities, along with a list of suggested local vendors who are familiar with the location. With such stunning beauty surrounding each of the venues available in June Lake, don’t be afraid to get creative with a non-traditional wedding venue. A short ceremony can be held anywhere in the Loop. The more original it is, the more memorable it will be! Check out a few alternative venue ideas below. Exchange vows on the turquoise shores of June Lake with the mountains in the background. The beach along June Lake is an ideal location for your wedding ceremony. The light pumice shoreline contrasts with the deep gem tones of the lake and trees, which makes for exquisite photos. There is plenty of parking at June Lake. Schedule your wedding ceremony well in advance if you’d like your wedding ceremony to be held during the peak vacation times of June, July and August. Spring, fall and winter are also popular times of the year. While no specific fee or permit is needed for a wedding on June Lake beach, be sure to inquire if you want sound amplification or generators. Silver Lake’s shoreline offers some seclusion and is ideal for small wedding parties. A short paved walk from the first Silver Lake parking area leads to a green grassy area right on the lake, with dramatic Carson Peak in the distance. This location is away from many of the vacationers other than a few people fishing here and there. This is a smaller area so it would work best for a more an intimate wedding of around 20 or fewer people. This location is managed by the US Forest Service, and while no specific fee or permit is needed for a wedding ceremony, be sure to inquire with the local USFS Ranger District for questions about sound amplification, generators, accessibility, etc. Portions of Highway 158 are closed during the winter with no access to the Silver Lake shoreline area. Silver Lake is an optimal spot to exchange vows during warmer months. Even if you don’t have a ceremony on the shores of Silver Lake, it is a must-stop for pictures. No fee or permit is required, excluding sound amplification or generators. For your wedding reception, consider the Gull Lake Community Center. Located at Gull Lake Park, the spacious community center has a large hall with a bar area, commercial kitchen, and plenty of room to dance. This community center can accommodate up to 150 people. The tables and chairs are included as well, so you just need to provide linens. The decor features pictures from around June Lake along with a mounted moose head. The hall has scenic views of Gull Lake and Carson Peak and is a good year-round venue for events. Kids and even adults can play at the Gull Lake Park playground next door. The community center is rented out through Mono County. For years, Gull Lake Park has been an ideal venue for wedding ceremonies and receptions. Set in a grassy flat park right on Gull Lake, it is hard to beat. From the park you are surrounded by nature. Views include Carson Peak, Gull Lake, Reverse Peak and June Mountain.Gull Lake Park is a favorite for fall weddings as well. Just steps away from the park is the Gull Lake Community Center, which you can rent for your reception. No permit required for Gull Lake Park, but the community center must be reserved through Mono County. Plan your wedding rehearsal meal well in advance especially during peak vacation seasons. June lake has several favorite restaurants that can cater to your group Depending on the size of the rehearsal dinner, we recommend the community center, Carson Peak Inn or the Eagle’s Landing Restaurant at Double Eagle Resort. A wonderful option for your rehearsal dinner is beautiful and spacious condo. Our condos include complete kitchen and plenty of room with scenic views. Renting one or more condos places your larger group next door to one another. June Lake Accommodations offers 3-4 bedroom condos along Gull Lake that can accommodate up to 11 people for an intimate family experience. Relax with all the amenities and nearby community. Prepare a special home-cooked meal or have it catered by one of our local restaurants. If you choose catering, we recommend pre-ordering cheese and charcuterie platters along with beer and wine from the curated selection at Bleu Handcrafted Foods. Large parties can also consider cookouts and catered meals at Gull Lake Park next to your condo. 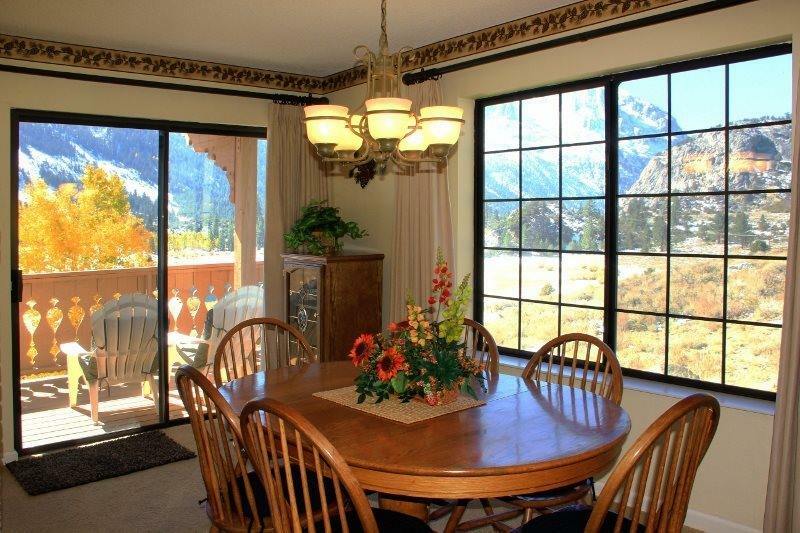 Lodging is a key factor when planning a destination wedding to June Lake. Summer months like June, July and August are the busiest, so book today with June Lake Accommodations, up to one year in advance. Once the invitations go out, encourage guests to book as soon as possible if they want to stay in one of our vacation rentals. Winter, spring and fall months are usually less crowded. We have a nice selection of condos, homes and cabins.